IsoSciences is a leader in isotope labeling for internal standards. We offer a full range of high quality products and services with over 1000 catalog products and custom solution offerings that address complex requirements. 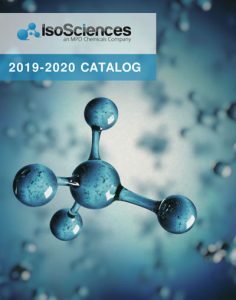 IsoSciences catalog products are manufactured based on proven scientific principles that have been developed internally over the years for customers who require material of the highest quality and purity. Please fill out the form below to download the IsoSciences catalog.